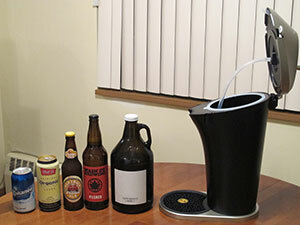 Home Appliances Small appliances Fizzics Review: Blissfully Better Beer? Fizzics Review: Blissfully Better Beer? As far as alcoholic beverages are concerned, I’m a bit of a creature of habit. Sure, I’ll have a splash of Baileys in my coffee from time to time, and I certainly enjoy the occasional vodka soda or martini, but for the most part I’m a red wine and craft beer kind of girl. 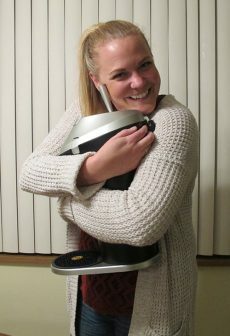 Needless to say, I didn’t have to think twice when I was asked to test the Fizzics Freestanding Draft Beer System. But before I get into what I thought of the product, I thought I would tell you a little bit about it, because to be honest, it’s pretty darn cool. 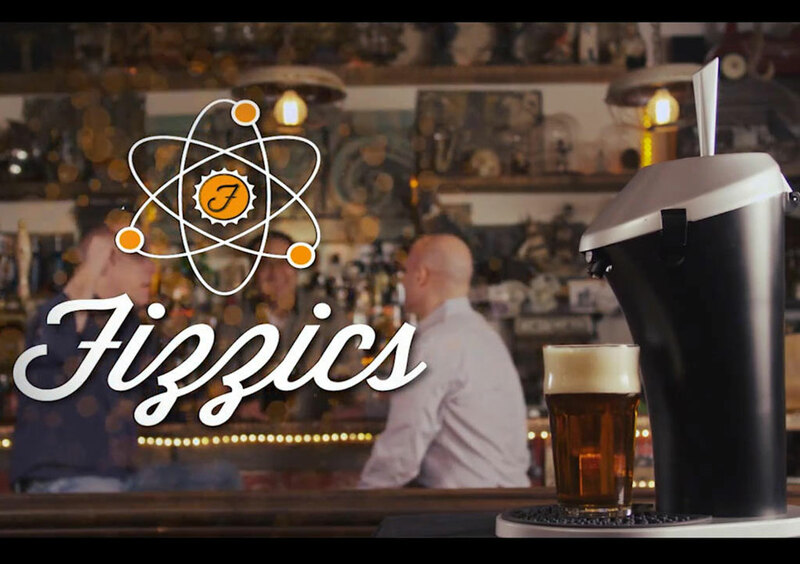 What is the Fizzics Beer System? Like many of you reading this, I really enjoy beer. Whether I’m consuming it on a patio in the summer, in front of a TV during NFL season, at one of the many craft breweries here in Vancouver, or, best of all, poolside in a tropical destination, beer and I have a great relationship with one another. Some beers I love, some I can’t stand, and some I tolerate, but never once did I think I could alter any of their flavours. However, that’s exactly what the Fizzics Freestanding Draft Beer System does. 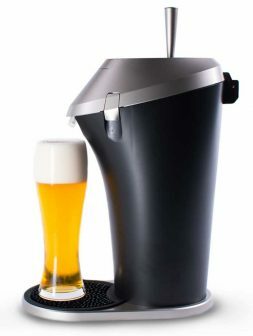 I’m not saying it turns beer into wine, but with the Fizzics system and its Micro-Foam™ technology, the flavour, taste, and “mouth-feel” of beer is dramatically improved so it is almost as if it is fresh off the tap. Recreating the taste of draft beer from a can or bottle may sound like some sort of hocus-pocus, and to be perfectly honest, I didn’t think the system would or could stand up to its promise, especially without any kegs or gas cartridges. However, as it turns out “Fizzics” is more than just a play on the word “Physics” and there’s some actual science to the process. 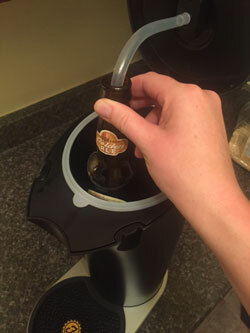 I’m not going to bore you with what that science is, but in a nutshell, there is a chamber to hold the beer, which when closed, pressurizes and forces the beer through a tube into a glass to preserve as much carbonation as possible. Then some magic happens when you press the handle backwards and bubbles of carbon dioxide are broken up and replaced with a dense head of foam, which contributes to the aforementioned “mouth-feel” and aroma. I don’t know why, but with zero research done into the Fizzics before it was sent my way, I assumed it would be large and heavy, however it is neither. 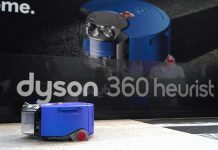 In fact, I was surprised at how lightweight it was–so much so that I doubted its capabilities. In fact, it weighs only 0.3 pounds and measures in at just shy of 18 inches tall, so easily fits on any kitchen counter or bar surface. Set up itself was a breeze. I mean, we’re talking about taking the Fizzics out of the box, placing it on its base, securing the tap, placing the antimicrobial mat into its designated place on the base, and adding four double A batteries. C’est tout! Once that one-minute set up is complete, you are ready to see what Fizzics is all about. The Fizzics Beer System accommodates all sizes of beer canisters from the standard size can through to a 64-ounce growler, so to give it a run for its money, I picked up five different beers, including a can of one of my least favourite beers or all time, a big can, a standard size bottle, a 646ml bottle, and of course, a 64-ounce growler from one of my favourite local craft breweries. Once I got those home, I was ready to give it a whirl. 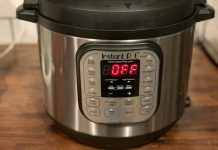 For the most part, when I am asked to review products, I like to figure out how to set them up and use them without the assistance of an instruction booklet. I think it has something to do with the fact that I don’t like anyone telling me what to do, but in this case I am so happy I read the instruction book before I used the Fizzics. I assumed that I was just supposed to pour the beer directly in to the canister and tap it, but no, you’re supposed to place your can/bottle/growler directly into the canister, put the tube into the can/bottle/growler, and tap from there. My first test was with the growler. I went to one of my local breweries, 33 Acres, and filled my 64-ounce growler with my favourite Belgian wheat beer. This is a beer that I like no matter what the occasion, so was a little leery with what the Fizzics System would do with it. I poured a “pre-Fizzics” splash of the beer into a glass, and then put the growler into the canister, tapped it, “back-tapped” it to create some foam, and then did a comparison of the before-Fizzics and after-Fizzics brew. There was no comparison. The “after Fizzics version” of the beer was so much smoother and creamier than the pre-Fizzics version. And no, I never thought I would use the word “creamy” to describe a beer, but that’s exactly what it was. Fast forward to me testing my favourite beer of all time. It’s another one from a local craft brewery, Red Truck, and in my eyes can do no wrong. This is the point in time when I need to quote my friend Emma who repeatedly said “f*%& you Fizzics” because our favourite beers have now been jaded. And true to form, Fizzics took my very favourite beer and made it even better than it was before. 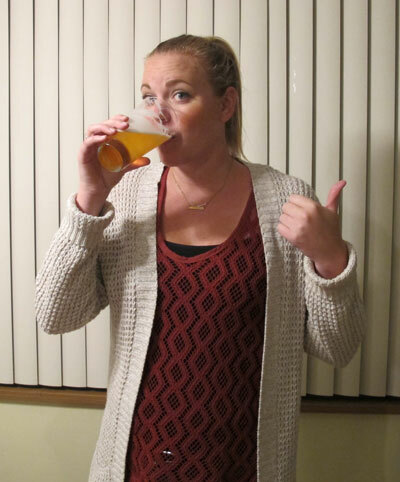 I tested a handful of other beers, and in each case, the beer went from “yum” to “are you kidding me? 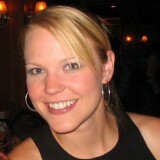 !,” including my last test, which was of my least favourite beer ever. I’m sure a lot of people love this beer, but to me, I’d rather have pieces of bamboo shoved under my nails than drink it (ok, that was extreme, but you get my drift). I had already put four beers through the Fizzics and each tasted better than the original, but I didn’t think this beer had any hope. As it turns out, I was wrong. This beer, that I hate, was actually palatable. I won’t go so far as to say it was good, but after it went through Fizzics it became something that I could actually drink if I had to. I wish I could say I knew exactly what was going on in the Fizzics Beer System to make great beer even better, good beer great, and horrible beer palatable, but I don’t. All I know is that I have a bit of a hate on for the system, because I’ll never look at beer the same way. In fact, I feel like I need to tote the Fizzics with me whenever I go out to restaurants or bars because whatever magic it has makes every beer better. I actually took the Fizzics out to my parent’s place and made my dad try a wheat beer, which he hates, and he sipped it with a giant grimace on his face. I then put the growler through the Fizzics and made him sip the same beer again. He didn’t love it, but he had not one, not two, but seven big sips of what he said was a “so much smoother!” version of the same beer he had sipped minutes before. Honestly, there was a part of me that was hoping the Fizzics was all smoke and mirrors. I guess I just thought that beer is beer, so trying to make it better isn’t possible. As it turns out, even your favourite beers can be made better through Fizzics. It takes your favourite (or sometimes not favourite) beers and turns them into something smoother and tastier than you would have thought possible.